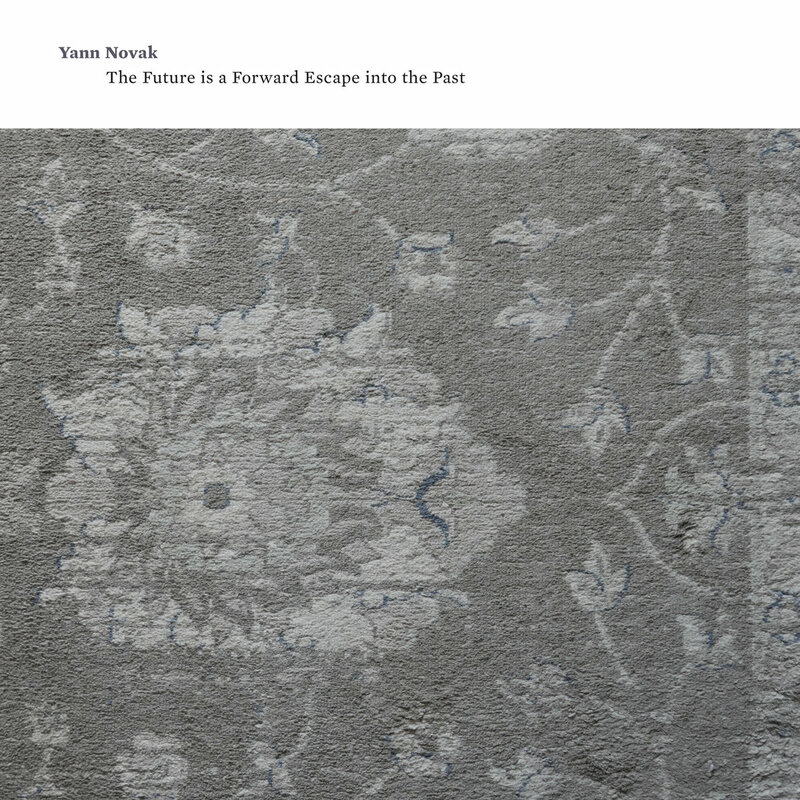 'The Future is a Forward Escape Into the Past' is the latest album by Los Angeles-based multidisciplinary artist and composer Yann Novak, and his second for Touch. It considers the relationships between memory, time, and context through four vibrantly constructed tracks that push Novak’s work in a new direction while simultaneously exploring his sonic past. 'The Future is a Forward Escape Into the Past' is composed as a quadriptych – a single gesture broken into four parts – that meditates on the inevitable progression of time, our relationship to the past, and our distortion of the past through the imperfections of memory. The album’s conceptual roots stem from 'The Archaic Revival' by American ethnobotanist and psychonaut Terence McKenna. In it, McKenna theorizes that when a culture becomes dysfunctional it attempts to revert back to a saner moment in its own history. He suggested that abstract expressionism, body piercing and tattooing, psychedelic drug use, sexual permissiveness, and rave culture were proof of this default to a more primal time. The text’s idealism was influential to Novak in the ‘90s, but today the theory bears a darkly-veiled resemblance to the rise of nostalgia-driven nationalism. Regardless of whether one agrees or disagrees with the signifiers of a ‘better time’ - McKenna’s idea highlights our propensity for selective memory, seeing history through the lens of memory instead of fact. On 'The Future is a Forward Escape Into the Past' Novak looked back at his own older works through this lens as inspiration. The Album’s four tracks dynamically shift and surge, where time is rendered as material and momentum compels it into movement. Subtle distortion throughout the album ties the tracks together and echoes techniques explored in Novak’s 'Meadowsweet' (Dragon’s Eye, 2006). Tension gives way to a halcyon vision of place in “Radical Transparency,” immediately followed by the austere swells of “The Inertia of Time,” a piece that captures the twin impulse of generating optimistic beauty in harshly muted tones. Both tracks introduce subtle bass swells and stabs reminiscent of 'In Residence' (Dragon’s Eye, 2008). From there, the album grows darker with “Casting Ourselves Back into the Past,” and “Nothing Ever Transcends its Immediate Environment,” two icier tracks that preserve the album’s core: a layer of something long since passed that locks us into the very moment we inhabit. The latter introduces a processed vocal sample of Geneva Skeen, similar to Novak’s collaborative work with Marc Manning on 'Pairings' (Dragon’s Eye, 2007). The album is a study in perception and alteration, manipulation and awareness, effectively capturing Novak’s command of emotional texturing.